GPS Visualizer is unique among on-line mapping utilities in its user-friendly ability to read simple tabular data, such as might come from a spreadsheet. For example, when making a Google Map, you can specify colors and symbols for individual points simply by supplying a "color" or "symbol" column, respectively. Other recognized columns have intuitive names like "description," "scale," "fill opacity," etc. Using the quantitative data input form, you can even have GPS Visualizer resize or colorize points based on the parameter of your choice. In all of the map forms, you can have some fields automatically built from other fields (see "synthesize names" and "synthesize descriptions"). Aside from the ability to process your GPS data, this site hosts other tools as well: a utility for finding the latitude and longitude of addresses (geocoding); an on-line interface to GPSBabel (for converting between different GPS file formats); a page full of geographic calculators for solving various problems (converting units, finding great circle distances, drawing circles of a specified radius, etc.  ); a Google Maps-based drawing tool; a utility for creating image overlays in Google Earth; the ability to look up elevation data; and much more. The main thing GPS Visualizer cannot do is store your maps for you. It is not intended as a Facebook-style "sharing" site where you can upload and comment on all your photographs, videos, etc. Files that are created here are permanently deleted a few days later, so if you want to share your creations with friends, you'll need to find a place to store them. If all you need is a free place to store an HTML map, DropBox.com works. If you want simple permanent storage for your GPS tracks, check out GPSFly, GPSies, or TripTrack. If you want more of a blog-like interface for uploading media along with your tracks, check out WikiLoc.com. Sites like WikiLoc do not allow nearly as much customization in the appearance of your maps, but they provide extra "sharing" features that GPS Visualizer does not. GPS Visualizer is free to use and always will be. Its costs are supported by advertising and donations. GPS Visualizer was born more than a decade ago, in the fall of 2002, when its developer needed to make a simple map from a collection of plain-text GPS data (latitudes and longitudes) that had come from a Handspring PDA running the Palm OS application called Cetus GPS. The first attempt was a poorly-proportioned scatterplot chart in an Excel spreadsheet. From there, things quickly evolved into a simple Perl program that was able to make SVG drawings; SVGs are XML files, so they're easy to create, and they can be edited in drawing programs like Adobe Illustrator. But the still-unnamed program was only able to read certain text files and write SVG files, and it wasn't a Web site; it was just running on an old Apple PowerBook G3. The next step in the evolution of the program was the ability to add background maps from the Internet, to give some context to the plotted points. Elevation profiles were added next. At some point, an on-line version was created, and it was given the name "SVGPS." This name obviously was going to have to be abandoned once additional output formats were supported, and so GPSVisualizer.com was registered in March of 2003. JPEG and PNG maps arrived in spring of 2005, and Google Maps and Google Earth (KML/KMZ) were supported later the same year. Since then, improvements and new features have been continually added — especially to the Google Maps and KML functionality — and more and more input file types are supported all the time. GPS Visualizer is developed on Mac OS X and is hosted on a dedicated Linux server at a data center in Bend, Oregon. Some parts of the Web site use a bit of PHP, but most of the core functionality is handled by a collection of Perl scripts that rely heavily on 3rd-party modules (GD, ImageMagick, XML::Simple, etc.). GPSBabel is used to convert a small number of difficult file formats into something more readable; for most formats, however, GPS Visualizer uses its own custom-made code. The server stays busy: several thousand maps are created every day by people all around the world. The creator of GPS Visualizer, Adam Schneider, grew up in Minnesota, attended the University of California at Santa Cruz, and has lived in Portland, Oregon since 2004. He has been creating both educational and commercial Web sites since 1995. If you have questions about GPS Visualizer, he's happy to answer them; you can find his e-mail address at adamschneider.net or at the bottom of this page. He's also available for custom projects or more detailed hands-on support, for an hourly fee.